OK so we have now walked south east through Rochester and Wessex Estates and we have crossed over the expressway of the AYE to the shadow of the Southern Ridges and have come to the simply stunning, grandiose, colonial homes of Alexandra Park. Black & Whites appeared, as we know them, in the late 1800s. 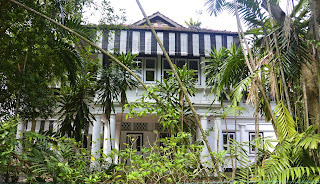 One major designer was Regent Alfred John Bidwell (1869-1918) a London architect who joined the Public Works Department (PWD) in Kuala Lumpur, before moving to Singapore in 1895 to work for architects Swan & Maclaren until 1911, whereupon he left to work for himself. 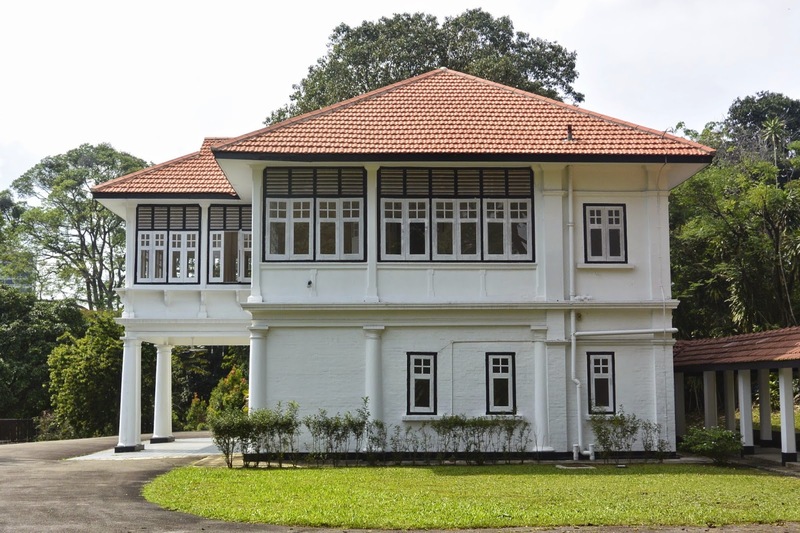 During his time he designed many iconic buildings including Raffles Hotel, Victoria Memorial Hall and the Singapore Cricket Club and many of the Black & Whites, including some within Alexandra Park. 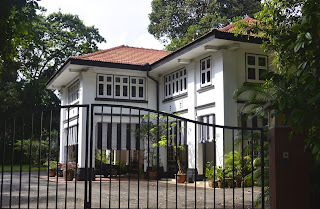 Within his time he saw a huge change in designs from the original Indian bungalows, to tudoresque, classical, American colonial etc and moving forward in time they evolved into the Art Deco, 'modern' and concrete utilitarian, angular, plainer designs. 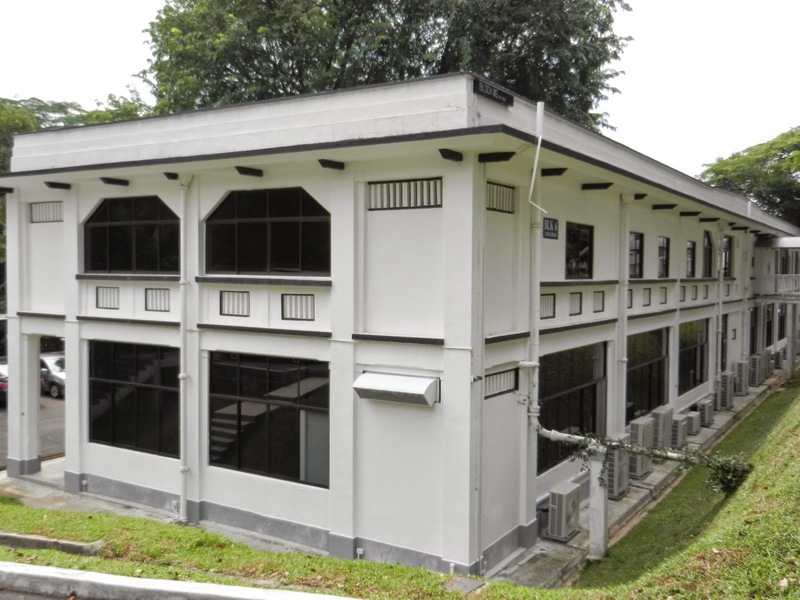 Alexandra Park was built to accommodate the officers based at the Alexandra Barracks overlooking Pasir Panjang. They were built at the turn of the 20th century and named after Princess Alexandra, wife of Edward VII. The homes were built over a 50 year period, most of them during the boom in development in the late 1930s, early 1940s. 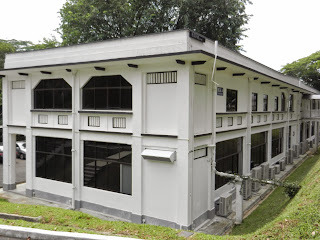 The Alexandra hospital was built in 1940 for the military and many of its personnel would live on the Park as well. Many of these homes are the smaller (although only compared to their neighbours) single storey bungalows, many built in the grounds of their big cousins. Due to the range in dates, the houses on the Park vary dramatically in styles, changing from wooden timber frames, to those made of concrete. This lends the area a feeling of being rooted in time. A dark time in the history of the hospital was in 1942 when Japanese soldiers murdered 200 staff and patients on one day. During the Occupation many of the homes were appropriated by the Japanese. Alexandra Park is a meandering, wooded, undulating estate, with fantastic views and vistas almost like those of an English country estate, indeed I did feel, wandering around, that I could of been in England rather than Singapore. The road names also lead you to this feeling, with roads named such as Winchester, Cornwall and York. 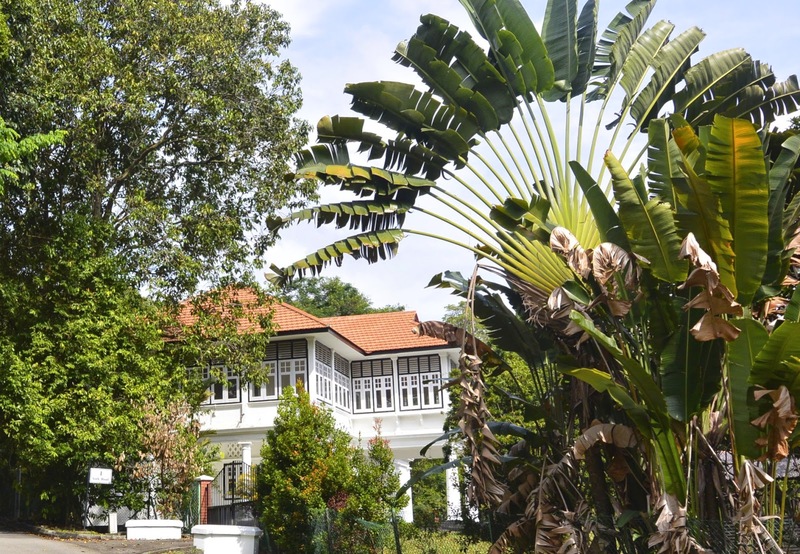 It is an eclectic mix of homes, the most majestic set back in sweeping grounds, surrounded by large luscious vistas. Others though (Winchester Road) are built right up against the road, so you walk right passed their front doors. The oldest house in the Park is No 6 Russels Road and is known as the Plantation House, the area was once a pepper Plantation. 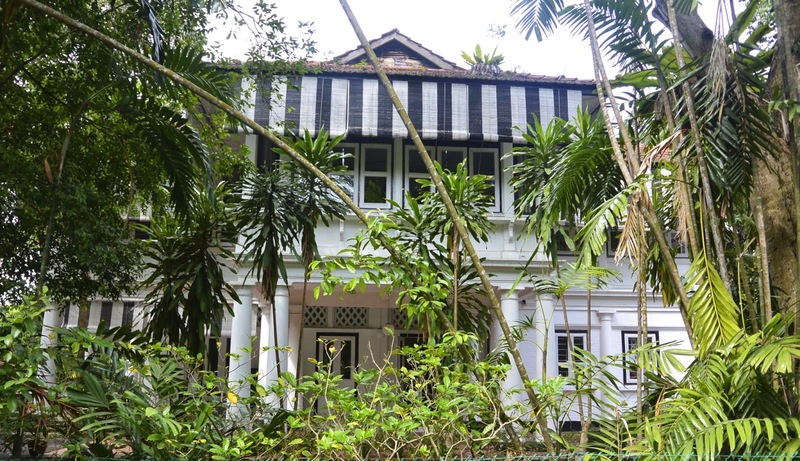 Built in 1900, the Plantation House is timber framed with brick infilled walls and sits on a raised floor, with a veranda running the whole length of one side of the building. This home is believed to have been built by the aforementioned Bidwell. 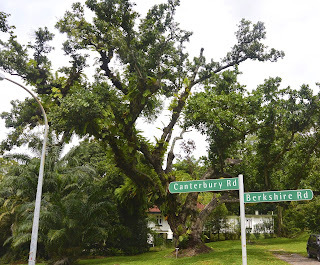 Two other houses that are some of the oldest can be found on Royal Road, the road I first walked along. No. 7 Royal Road is also known as Bukit Damai, meaning Peaceful Hill, it once belonged to the Commanding Officer of Alexandra Barracks and today it can still be described as such. 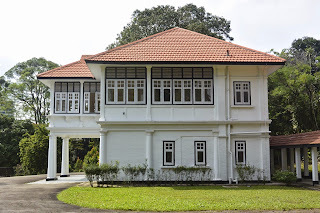 Sitting along Winchester Road (built in the mid to late 1930s) you will see a large home known as Winchester Place, which was once the officers mess. Also along Winchester Road is No.1 built in the 1930s and its design has influences from the original black and white design bungalows from colonial India. 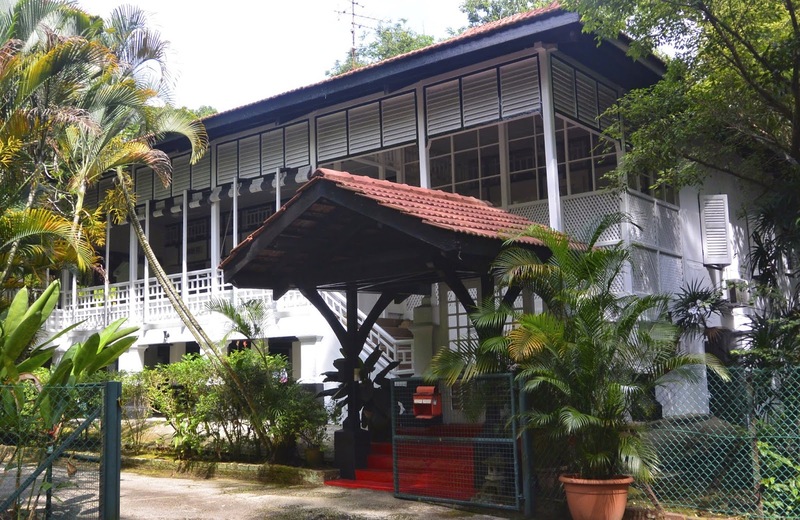 If you walk south just a few 100 metres along Alexandra Road you will come to the Black & Whites of Gillman Barracks, now home to the Gillman Art centre. The only Black & White further directly south, from the run we have covered in this consecutive southern journey, through the black & whites, is the majestic Admirals House over looking Keppel Harbour. This was believed to have been built for the Flag Officer Commanding of the China Squadron in 1915 or also for the Harbour Master, opinions are divided, whichever, it is a most outstanding home sitting on the hillside over looking the sea. We do know however that is was built by British architect Richard Norman Shaw. I have many friends who covert this house, understandably so!